To get the most out of this blog, view Ted Talks 2011 – Knowledge Is Power. #1: Sir Ken Robinson; and #5: Salman Kahn, and the Kahn Academy. I selected these two excellent presentations for many reasons, but the most important reveal is when Bill Gates comes on stage with Salman Kahn. His reaction and comments – those of a major player in the reform movement – are perhaps the best example of what billionaires who have never done the hard work necessary to understand our public schools and what teachers do, create ideological, (not real) solutions to complex problems. These billionaires are able to force the adoption of harmful and destructive ideologies, the consequences of their limited understanding, on America’s schools. Perhaps they have influence because politicians and some bureaucrats assume that Wealth = Intelligence? How else can one explain inBloom, Common Core, High Stakes Testing, Race To The Top, NCLB, SAT, teacher evaluation based on false data from student test scores, and other education-adverse implants? “Reformers,” like Gates, Broad, Rhee, Duncan (and many others) have never learned mastery of subjects and how to teach them, basic knowledge of learning styles, maturation/learning readiness, and classroom management skills. They have not gone through rigorous certification and continued evaluation. They do not have a minimum of 5 years’ experience in the classroom as a teacher. They have not learned to work with parents, and with community needs and values. Most important, they have no concept of the differences in students and teaching approaches depending on age, maturation levels, conditions of poverty or affluence, and learning readiness. They address their imagined education solutions as if elementary, middle, and high school education is one entity that can be reformed by one down-and-dirty hit. Sir Ken Robinson makes a moving case for an education system that nurtures (rather than undermines) creativity. Except for the de-formers, most education leaders define the needs of students in the 21st Century as cooperative learners, creative thinkers, self-directed and able to change as new technologies and advanced thinking requires. It is shocking to learn that these goals are the direct opposite of the “de-former’s” goals, which are to force learning through tests and threats and cut out the arts, physical education activities, and anything but seat time and inculcation. High Stakes testing through NCLB and RTT are thought to educate, when in fact, these awful approaches destroy creativity, nurturing, mentoring and teaching, and every quality of a public school that teaches students to think and to learn. “Data” is the magic word used by even the USDOE, as if data has anything to do with producing future citizens who can contribute to themselves and to society. Salman Khan’s presentation is well received by educators. His use of video lessons to enhance teaching and learning are very useful. These lessons are tools that teachers can add to their war chests of techniques and exercises that help children learn. Kahn has developed teaching tools. He has not invented a replacement education system. I think that is clear to all who understand what education requires; what education is. Enter now, Bill Gates. Watch him closely. He is almost orgasmic in his (mis)interpretation of Kahn’s work. What he sees is a solution to all of the complex problems in our educational system. He communicates that Kahn has the solution to education’s ills. That Kahn’s use of video instruction can now change our whole approach to teaching and education. He has found his simple solution to complex problems. Problems he has never clearly and factually defined. 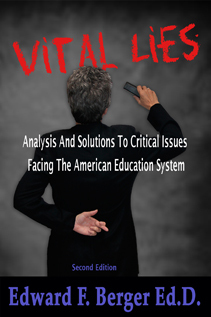 Educators want to know why, If Gates claims to support necessary changes, doesn’t the Gates Foundation promote and use as a guideline, The Death and Life of the Great American School System, and the pivotal work, Reign of Error? Why does he ignore America’s great educator and education historian, Diane Ravitch, her insights into our schools, and her vast network of supporting educators? His game is not about quality American Public Schools. He serves corporate privateers and those (like Pearson) who want access to the tax dollars we pay for public education. You be the judge. How long can America tolerate this rule by wealth, not facts?